A reliable source has revealed how the United States government is aiding the clamp down on Biafran activists in Biafra land. This information was so hidden that even some US generals are not aware. However, after the air raid in Akwa Ibom state Biafra land, Family Writers launched an investigation and found out that it is all an Executive transaction and a collective oppression of Biafrans in order to cut our freedom fighters by surprise. The information said that they have used it to carry out their numerous air strikes against the Avengers, and that most of the zoo commanders leading the oppressions in that riverine area do not know their date to strike except when they receive call from Abuja. The US and government is part of the deal, the CIA agent from America is a black man working for the zoo as commanded by President Obama and Hillary Clinton. This information is made to alert the Biafran Freedom fighters to beware of this evil international alliance. Biafrans must be at alert at all time. Biafra we want and Biafra we will get. No going back, No retreat no surrender. It is Biafra or nothing. God will punish Obama. 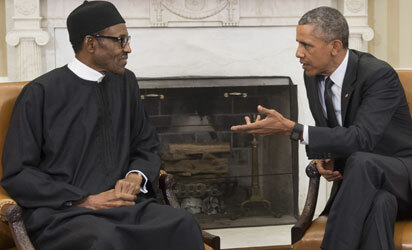 Obama evil plan against Biafra shall fail.